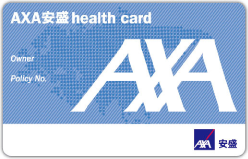 AXA’s investment-linked insurance products at your choice. Investment involves risks, including fluctuation of market price of investment. The value of the investments and their yield may go down as well as up as a consequence of the general nature of various investments. Past performance is not indicative of future performance. It is important for you to know your risk tolerance level and the level of risks associated with your investment before making any investment decisions. Please refer to the respective Principal Brochures of different investment-linked insurance plans for details including the risk factors. You should not purchase these plans unless you understand them and it has been explained to you how they are suitable to you. The final decision is yours. Please do not invest based on the information in this website only. You are strongly recommended to read the Principal Brochures of the investment-linked insurance plans (including the Product Brochures, the Investment Options Leaﬂets and the Product Key Facts Statements) and the respective offering documents of the reference funds carefully, which are made available by the Company.